When purchasing a table of 10 you will automatically become a sponsor of the event and your company logo on the 3 large LED Projector Screens as well as additional areas of the room. Additionally receive a highlighted Community listing on our website. Top Tier level table seating of 10 plus your company logo on the 3 large LED projector screens as well as additional areas of the room. Additionally, you will receive a full-page ad in our evening video and printed programs, a community listing on our website, and a special thank you on our LED screens during the event. Our second-tier level table seating of 10. You will also receive a community listing on our website, and a special thank you on our LED screens during the event. A third-tier table seating of 10. You will also receive a community listing on our website, and a special thank you on our LED screens during the event. 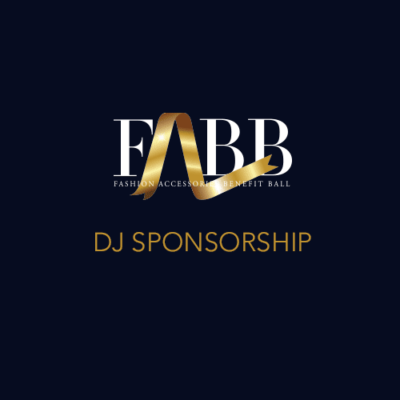 Additional ways to make donations and become a FABB sponsor. Congratulate or promote your company or both! Your congratulatory ad will appear in the evening’s printed program and appear on all the LED screens in the cocktail room, dining room and the new after hours lounge on a continuous loop during the entire evening. The video will also appear on the FABB website for one year. Your space is the backside of the table cards (3 per table) on all 80 tables. The front side will have the FABB program for the evening; the other side will have your logo and salute to FABB’s honorees. Corporate signage included, to be placed on all 80 tables plus you’ll have a credit to your company and logo on the large screen that will run the entire evening. Your logo appears on the 3 LED Projector Screens, banner ad on FABB website, plus additional signage throughout the event. Signage at all the bar stations, on LED Projector Screens, signage at entrance to event, cocktail party, additional signage throughout the event, Banner ad on FABB website, full page ad in program and a table for 10 to the event.